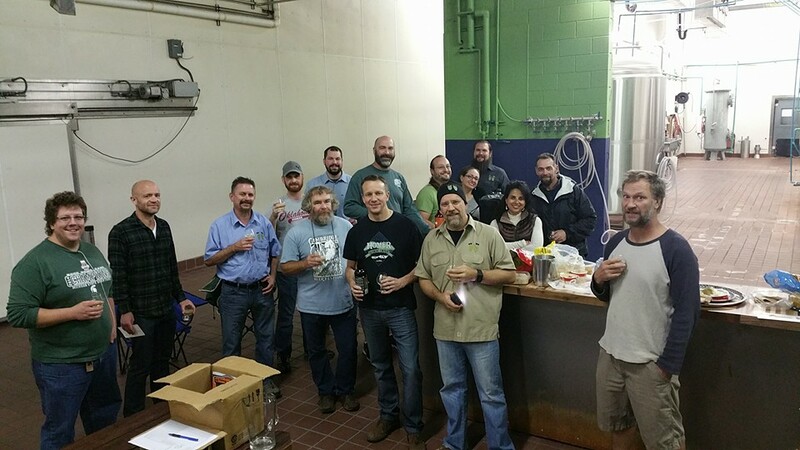 We recently held our Crying Flarp Meeting which is open to any beer with an OG of 1.060 or higher. 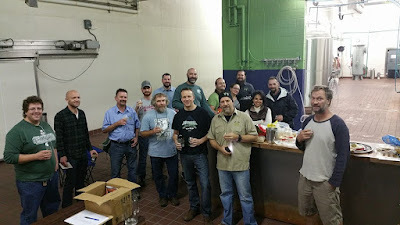 We held our Belgian Strong Meeting at Shades of Pale on October 3rd. Trent and Alexandra were very gracious hosts especially considering they'd spent the day pouring their beers at the Snowbasin Beer Fest. We started the evening off with a tour of the brewery. 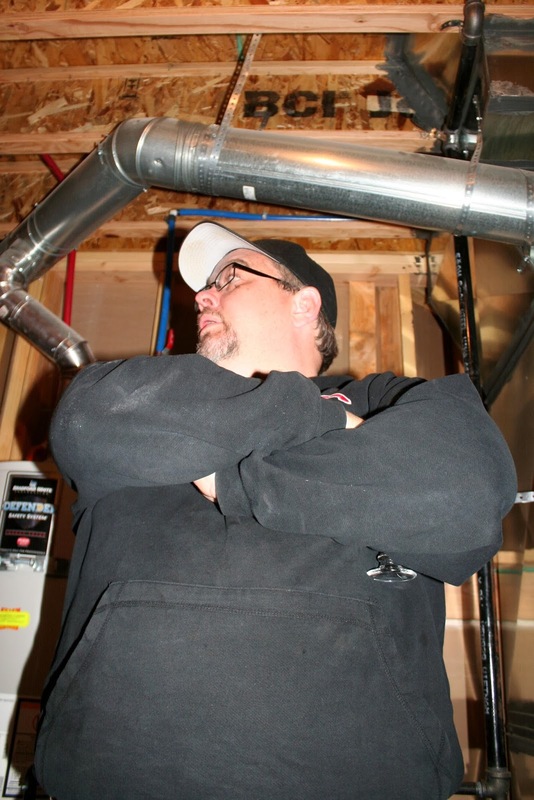 There is quite a bit of room in the new location and Trent has big plans for the space. I won't spill the beans, but there will be some exciting things in their future. 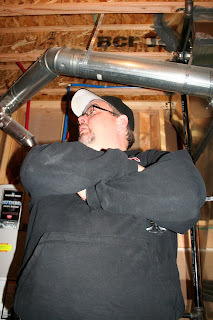 Here are a few pictures from the brewery. 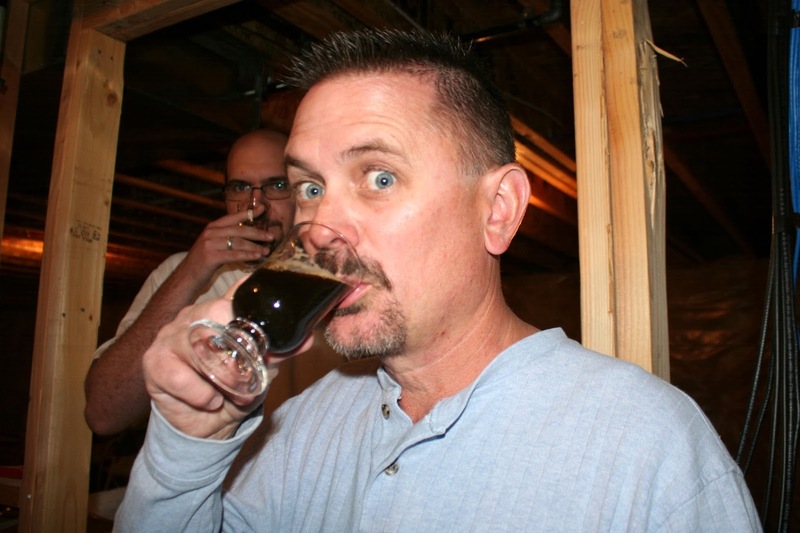 Check out the Schedule page for the 2016 meeting schedule...and get brewing! I want to apologize to everyone for the severe lack of posts lately. I assure you ZZ HOPS is alive and well...it's just that the blog-poster-guy (Rob) has been slacking big time. The club has been involved in a lot of really cool activities lately. Some highlights include club competitions, club barrel projects, magazine articles, and our first time pouring at a brew festival. It has definitely been an exciting year for the club. Please read on for more info about some of the recent highlights. We're still holding club competitions on a fairly regular basis even though the AHA has done away with the club-only competitions. We decided it was a good way to focus on BJCP styles and keep everyone's judging skills up to par. Plus it's just a fun reason to get together and talk about and try different beers. Both Davo and Joe brewed some absolutely fantastic beers throughout the year and these awards are very well deserved. Cheers guys! 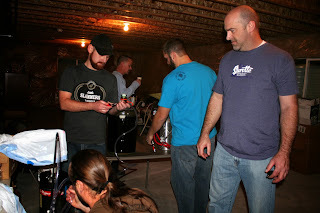 *This competition determined which beers were submitted to The Annex for a possible club collaboration beer. Entries from Joe, Jeff O, and Mike J also qualified and were submitted to the crew at The Annex for consideration. 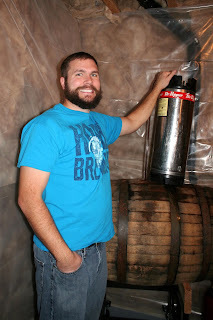 We started our first Big Bad Barrel club brew back in the Fall of 2013. 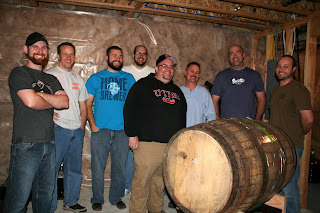 That beer was pulled off the barrel in October of 2014 and divvied up between the participants. 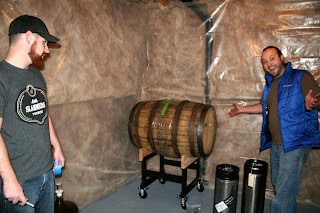 That first beer, that's come to be known as Big Bad Barrel #1, turned out awesome. Just about anyone that's had a chance to try it has commented that it's one of the best sour beers they've ever had. Probably most of it has been consumed, but if you're lucky you might come across a bottle at a local bottle share. If you do, I definitely recommend trying it. So that leads us into Big Bad Barrel #2. As you may recall, Big Bag Barrel #1 was more or less trying to clone Tart of Darkness from The Bruery. Big Bad Barrel #2 is targeting yet another fine commercial sour, Consecration from Russian River Brewing. 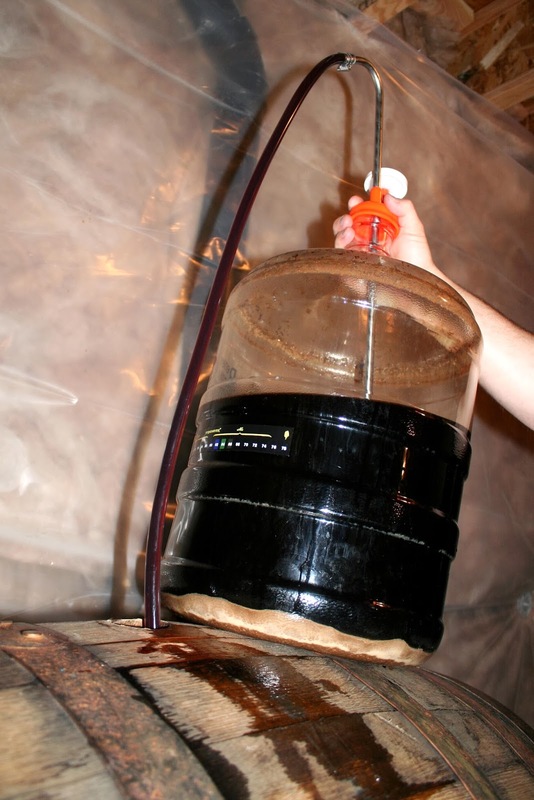 This beer is currently aging in the barrel on 35 pounds of Zante Currants acquired from Nutsite. We haven't pulled a sample yet (Jeff may have snuck one in) but based on the results of Big Bad Barrel #1, expectations are high for this beer. The participants for round 2 included Brian, Dallas, Jeff N, Jeff O, Joe, Mike H, and Rob. All participants did a clean primary fermentation, so we're relying on the bugs in the barrel for souring. The recipe for Big Bad Barrel #2 can be found here. ZZ HOPS was featured in a recent Slug Magazine article. The article was written by Rio Connelly of Avenues Proper Restaurant & Publick House, formerly of Epic Brewing, and Beer Nut fame. Rio got together with past and present ZZ HOPS members to discuss the history and spirit of homebrewing in Utah. The article is well written, so be sure to check it out. 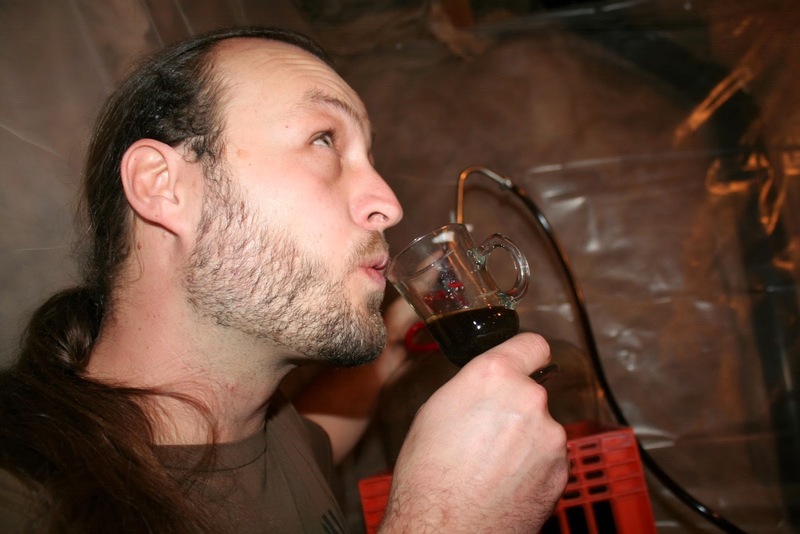 Speaking of the history of homebrewing in Utah, here is an old ZZ HOPS Newsletter from March of 1997 that Mike H managed to dig up. 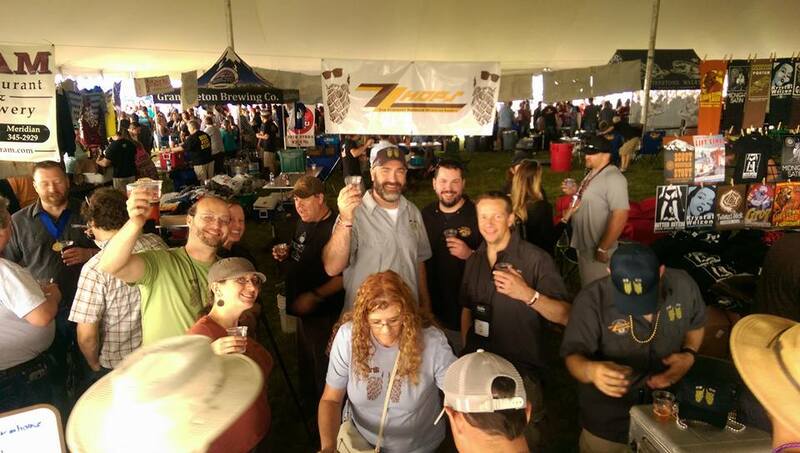 This festival in Idaho Falls, Idaho is also known as Utah's Unofficial Beer Festival, ZZ HOPS was very excited to be able to participate this year. I wish we could say we came up with the idea ourselves, but we got the idea from fellow Utah homebrew club, Lauter Day Brewers (LDB). LDB poured at the 2014 festival and it looked like they were having such a good time that we decided we wanted to get in on it for 2015. LDB members (especially Michael Pezely) were very helpful in making recommendations based on their experience and even let us borrow their club jockey box for the event, so special thanks goes out to LDB! 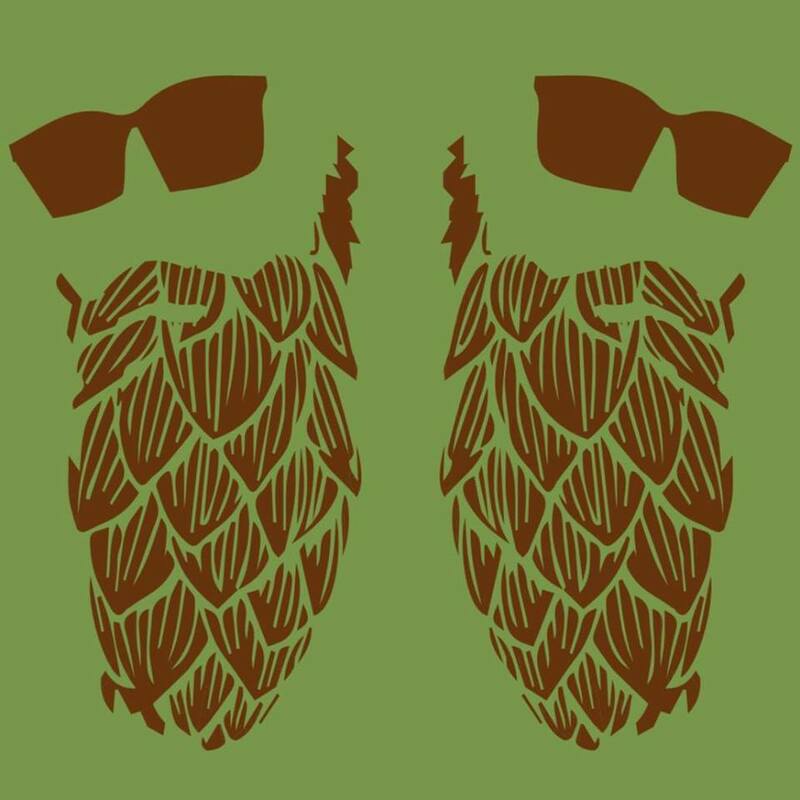 The Mountain Brewers Fest is an awesome event and has to be one of the best festivals in the region. It's a charity event with 100% of the proceeds benefiting local charities in Idaho. Club members donated time and ingredients and brewed 10 beers that were served to festival goers. Dallas and Bonnie had a club banner made for the event, and it looked great. It, coupled with the club workshirts and t-shirts designed by Bonnie and Lizette, resulted in a booth that rivaled the commercial brewers' booths. We definitely had a lot of interest in our beers and often had some of the longer lines at the festival (which may or may not have ticked off at least one commercial brewer). Cobbling together a collection of cobra taps along with the jockey box on loan from Lauter Day Brewers, we were able to serve all ten club beers on tap from the start of the festival until they ran dry. Some of the beers donated by club members included a very popular (and equally long-named) Orange Blossom Honey, Apricot Hef with Brettanomyces, a Russian Imperial Stout Aged on Oak, and a Porter with Mexican Chocolate and Cocoa Nibs. 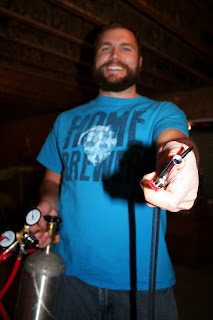 The "first keg to kick" award went to Hawken and his Raspberry American Wheat. Overall it was a very good time and we hope to participate in the future. So that's more or less what the club has been up to the past year. Not a bad year, not a bad year at all. 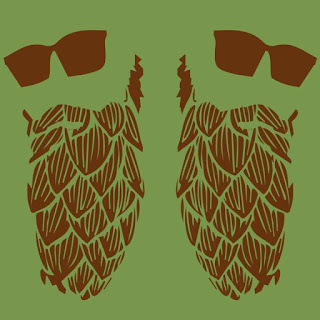 Just a reminder, right around the corner we have the Beehive Brew-off followed by Grace Lutheran's Bier Brauen event. This project started off a little while back when we acquired a used whiskey barrel from Epic Brewing. 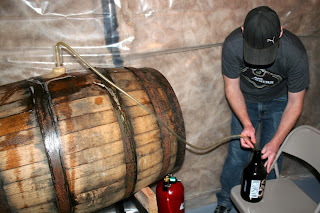 Epic retires their barrels after three fills and this one was used to age their Big Bad Baptist Imperial Stout. We considered doing a clean beer for our first fill but eventually settled on a beer inspired by Tart of Darkness, a sour stout from The Bruery. I think it's safe to say everyone was excited about this project. All participants brewed the same recipe (Tart of Darkness - Sour Stout) and primary fermentation was performed at home. Two batches were fermented with Roeselare (Wyeast 3763) and the rest were fermented clean (WLP013/Wyeast 1028). The only other difference was some toasted the flaked oats and some did not. 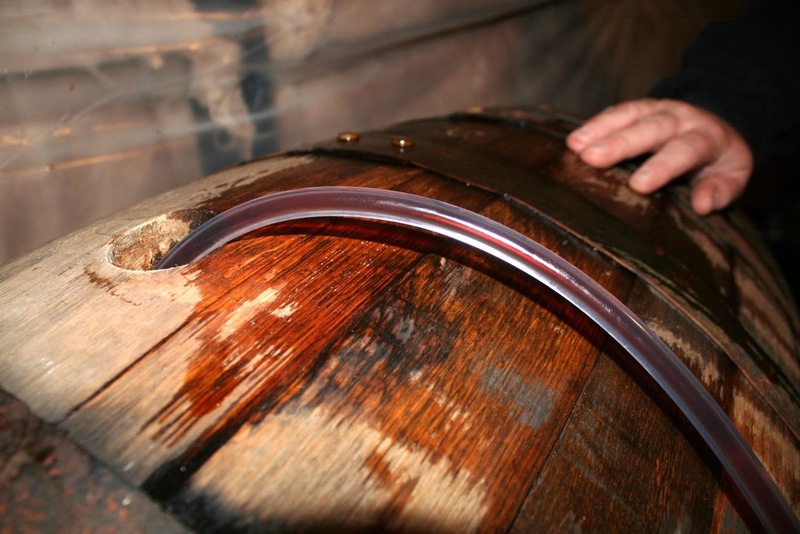 By November 9th, all the batches had finished primary and were ready to be transferred to the barrel for aging. With all the kegs and carboys lined up, we did an informal tasting before transferring each contribution to the barrel; I'm glad to say none were rejected. It was really interesting to taste the subtle differences between each batch. As for the fill itself, everything went well but there were some lessons learned. 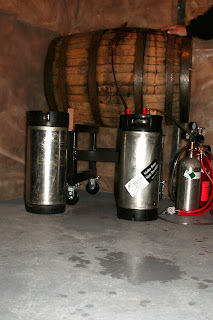 For example, it takes quite a while to rack 55-ish gallons of beer through 3/16" tubing and gravity fed racking canes. Next time we'll shoot for having more CO2 tanks and fittings on hand in order to move the beer into the barrel more quickly. When all was said and done, we had a barrel full of delicious stout that which seemed to already be experiencing a secondary fermentation. 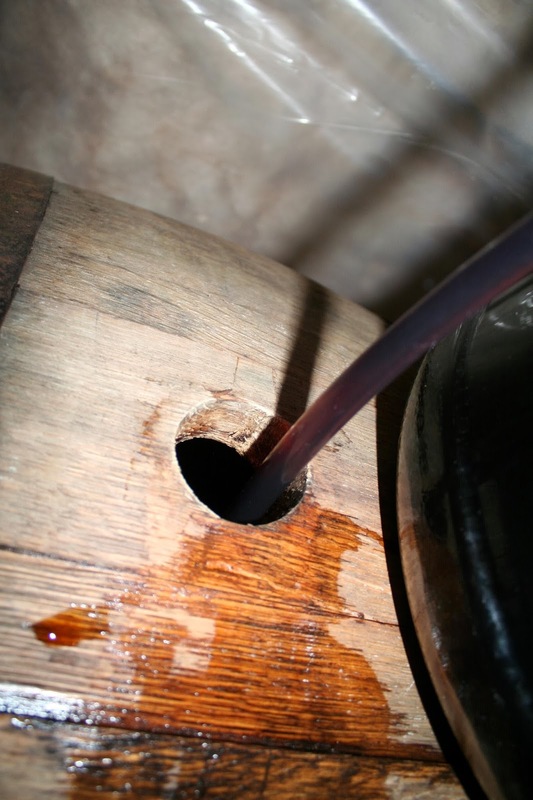 We intentionally added some of the yeast cake from the Roeselare batches to inoculate the barrel and hopefully ensure some nice souring over the next 6-12 months. We hooked up a blow-off hose and rolled it into the corner for its aging period. 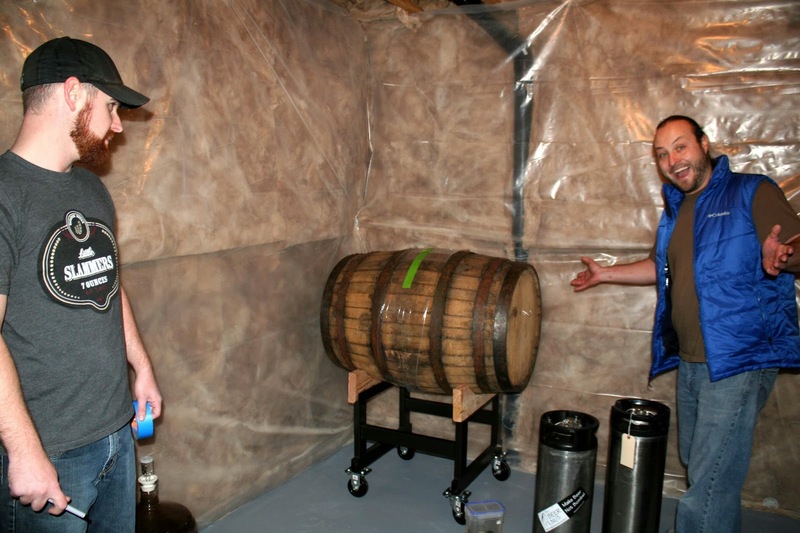 This is the recipe used for the club's Big Bad Barrel Project. 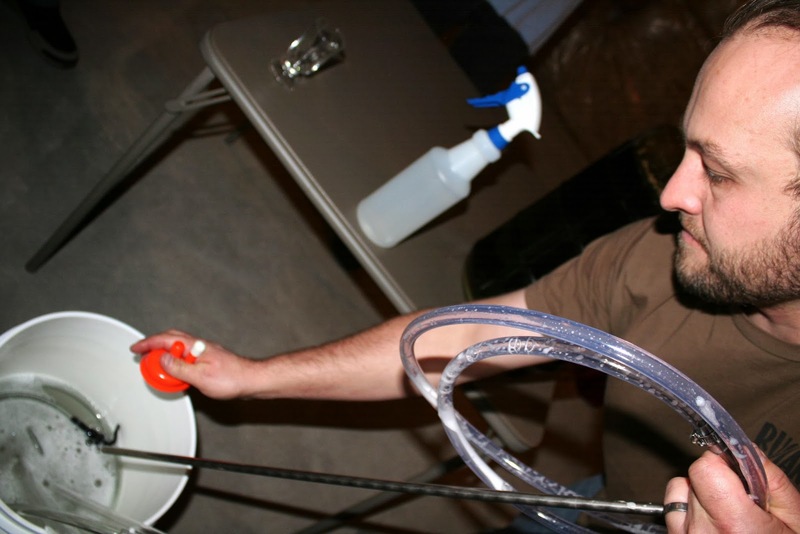 Each participant brewed their batch and did a primary fermentation at home. They were then combined in the barrel for aging.